In the past years GreenGran has received various awards. We feel grateful that our pioneering enterprise is recognised internationally for our developments in the field of biobased business, green technologies for making natural fibre reinforced biopolymer composite granules and co-creating new supply chains for cradle-to-cradle products. 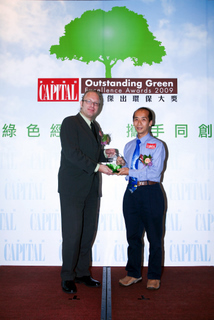 In 2009, GreenGran BN was awarded Solutions Winner of Outstanding Green Performance Awards from "CAPITAL", a monthly magazine for Chinese finance executives, bankers and entrepreneurs. The objective of CAPITAL Outstanding Green Excellence Awards is to recognize the achievements of Hong Kong corporate on green management and to serve as benchmarks for other corporations in their continuous pursuit for the best environmental achievement in the coming years. 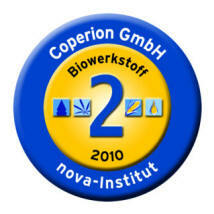 In 2010, GreenGran became Silver Medal Winner of the Innovation Award – Biobased Material of the Year. For the third year running an Innovation Prize has been awarded to the young, innovative bio-based industry. The aim is to recognize and reward innovative ideas in the industry regarding product development and design, as well as the development of new technologies and processes. The competition seeks to encourage the development of new bio-based materials, along with suitable applications and markets for bio-based products. The focus of the prize is on new developments within these areas, which have had a market launch in 2010.